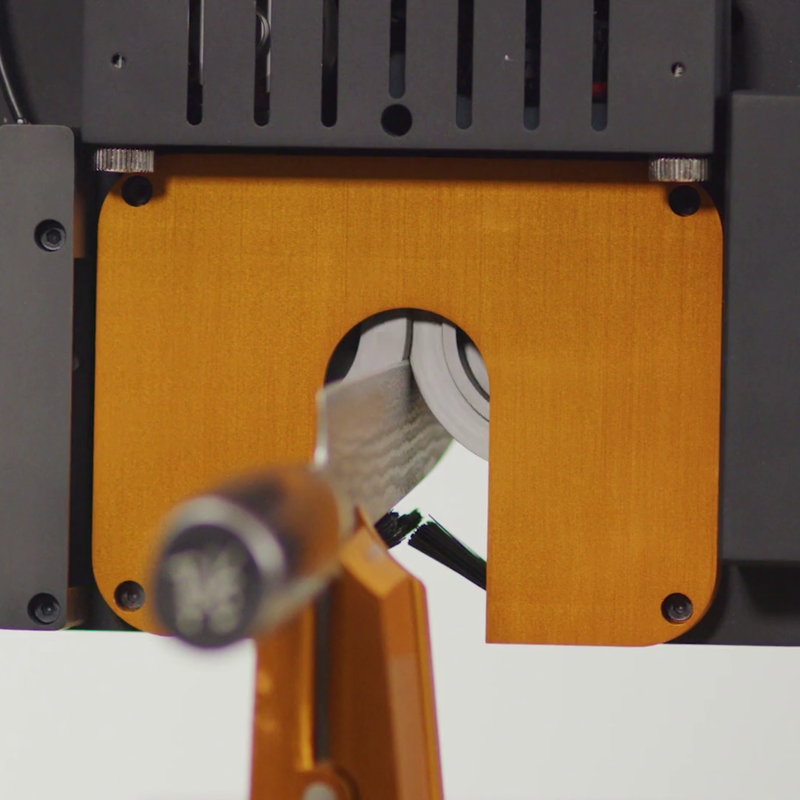 Our patented system sharpens your knives right in front of you. With unprecedented speed, you get all your knives sharpened in a fraction of the time of other methods. Our patented grinding technology scans the shape of your knife, then carefully restores the edge, while removing a minimal amount of material. The Resharp system sharpens most American and European style knives as well as Japanese knives with a v-shaped bevel. Bring your chef, pairing, slicing, chopping, santoku, pocket, hunting and specialty knives. 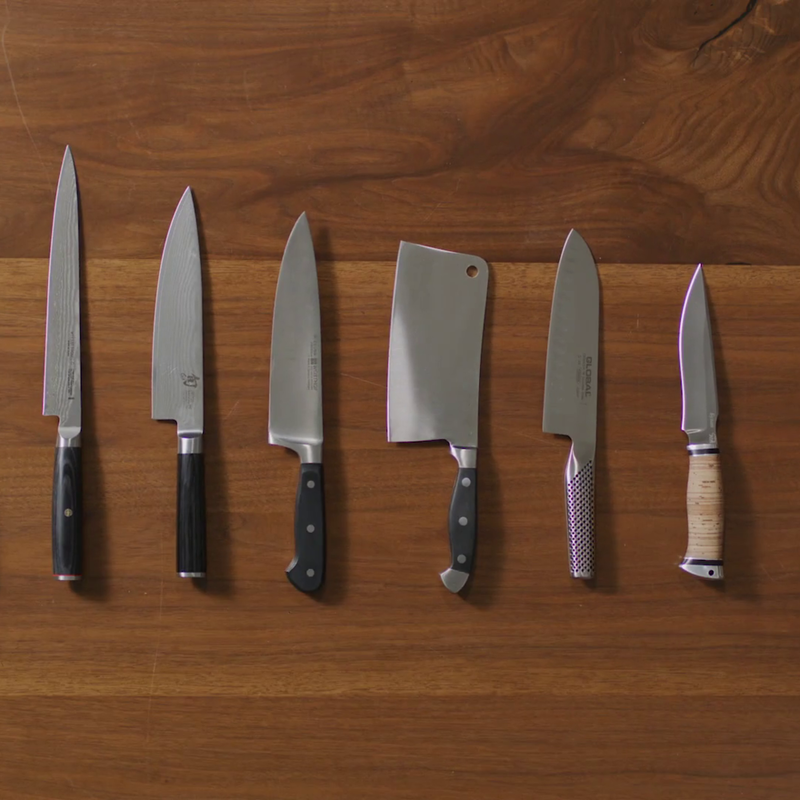 We do not sharpen serrated, scalloped, or ceramic knives. If you are curious about your knife, stop by a Resharp location.